At Himalayan Footslog, we always thrive to offer our clients more than what they desire for. Our easy booking facility allows you to book your favourite holiday in the least possible time. Our packages are designed in such a way that you get the best facilities at affordable rates. Himalayan Footslog emphasises on providing the best facilities to our clients keeping in mind their comfort. It is also possible to book your favourite destination in 3 steps or leave your details and we shall contact you in simply no time. Himalayan Footslog has been active in this domain long enough to know our clients requirements well. Our highly experienced team have full knowledge about various tourist destinations and perks attached to it. Our choices of the Hotels, Resorts or Campsites are highly picturesque, with full exposure of the wild. Our swift an agile response to all the queries makes us the pioneers in this domain. Whether you are planning to travel or you are travelling with us, your queries get answered by our expert guides. Leave a message now to know more about Himalayan Footslog. Himalayan Footslog believes in how you actually look at travelling. Himalayan Footslog takes regular initiatives in discovering new trekking trails or discovering new tourist destinations, keeping in mind the most important factor, safety of our clients. Our choice of the expedition is the most alluring and exhilarating that each trek unfolds new mystery. Some of the treks are brought to the attention of the normal public by Himalayan Footslog. We choose a destination on the basis of adventure, beauty and safety. 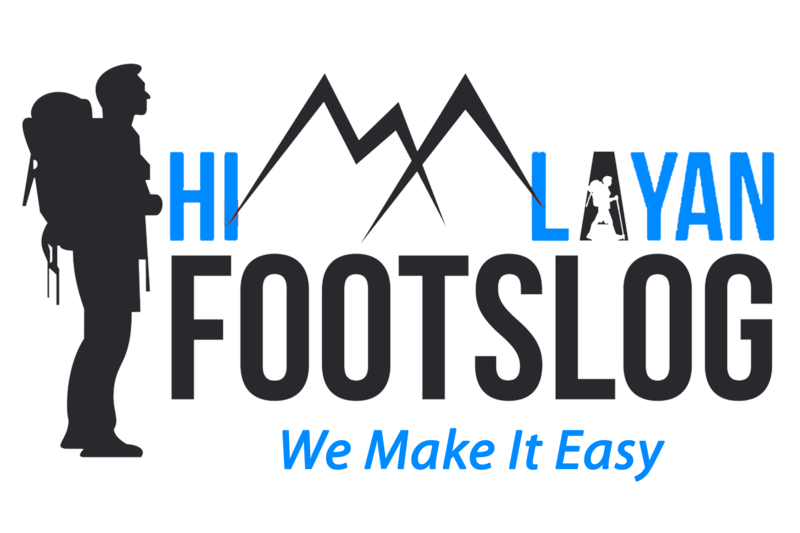 Whether you are looking to trek or planning to go on Honeymoon, Himalayan Footslog would love to cater you with all the comfort you might need.